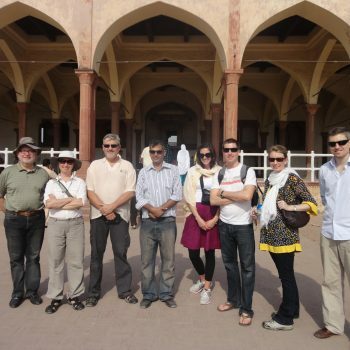 Multan the land of the mystics is probably the oldest surviving city in south west Asia. 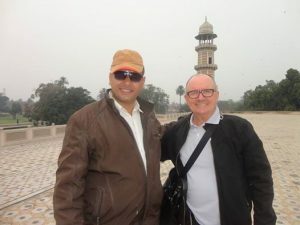 The history of Multan is the history of the sub-continent. 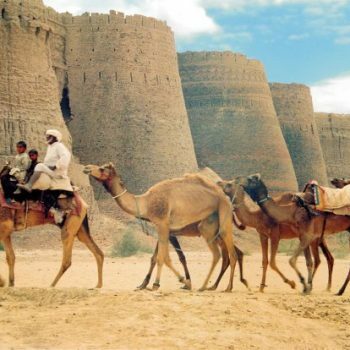 Every invader from Alexander, through the Moughals , right up to the British have fought for control of the city.Multan is located about one hundred km from Punjnad, where the five mighty rivers of Punjab meet. 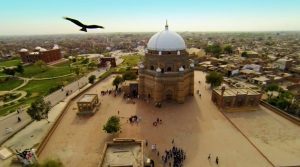 Here in Multan, are more tombs of saints and Sufis gathered at one place than anywhere else in the world. 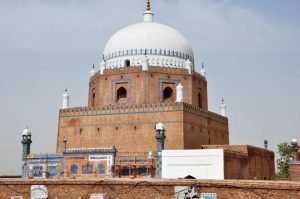 The city is dominated by towering brick and marble shrines, in particular by its eleventh century patron saint shah Rukn-e-Alam, and Hazrat Bahauddin zikria with many others such as shah shams Tabrez. They are not only an object of veneration for the locals, but also for thousands of people who throng in massive numbers to these shrines, searching for spiritual enlightenment. 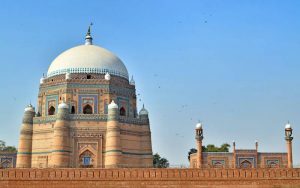 In fact, the galaxy of mosques and mausoleums erected in Multan speak eloquently of the grandeur and sublimity of this great city.other remarkable sights in Multan include the fort standing majestically above the city ad the 18th century eidgah mosque. 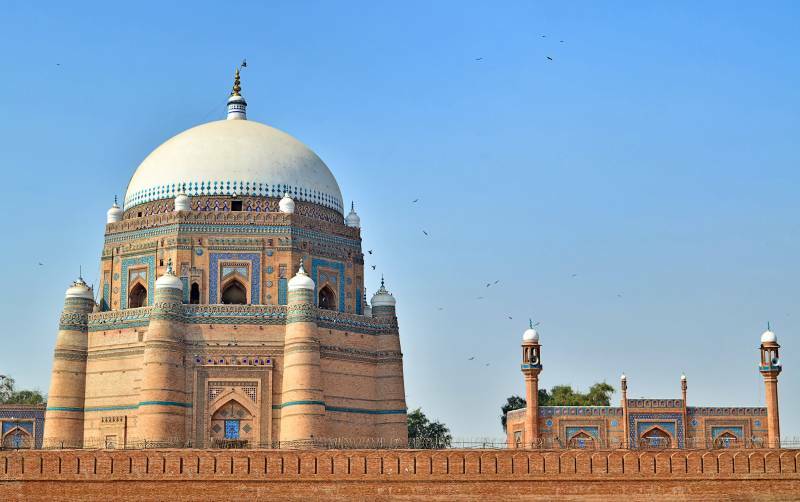 Multan flourished in Mughal era, becoming famous for its musicians and for the skill of its craftsmen who perfected a special style of blue painting and glazed pottery. Multan is a complex and multilayer city. Its Hussain Agahi bazaar ranks amongst the most fascinating bazaars in the world. Just off the main street of the bazaar, are tall houses with wooden balconies where one feels as though transported suddenly back in time. This is truly a place where the two worlds meet. The tomb was built between 1320 and 1324 CE in the pre-Mughal architectural style. 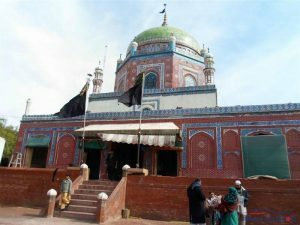 The tomb is said to have built by Ghias-ud-Din Tughlak (r.1320-1325 AD) during his governorship of Depalpur, between 1320 and 1324 CE and was given by his son, Muhammad bin Tughluq to the descendants of Shah Rukn-e-Alam for the latter’s burial in 1330. 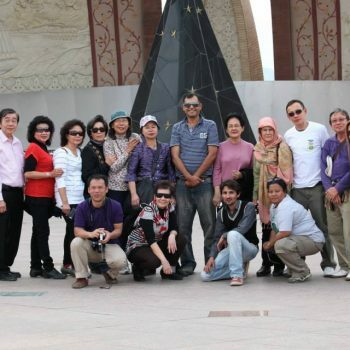 In the 1970s, the mausoleum was thoroughly repaired and renovated by the Auqaf Department. The entire glittering glazed interior is the result of new tiles and brickwork done by the Kashigars of Multan.The tomb is on the tentative list as a UNESCO World Heritage Site. Baha-ud-Din Zakariya died in 1268 and his mausoleum (Darbar) is located in Multan. The mausoleum is a square of (15.77 m), measured internally. Above this is an octagon, about half the height of the square, which is surmounted by a hemispherical dome. The mausoleum was almost completely ruined during the Siege of Multan in 1848 by the British, but was soon afterward restored by Muslims. Many pilgrims visit his shrine at the time of his urs from different parts of Pakistan and beyond. He arrived in Multan in 1165 AD and passed away in 1276 AD. The message is given by this holy saint is peace, humanity and respect with each other. He was buried near the passageway of the River Ravi, at that time there was no tomb was built. His tomb was built by his grandson after 54 years of his death and was reconstructed by one of his follower (Mureed) again. The tomb is about 360 inches in height and covered by a semi-circular green color dome. 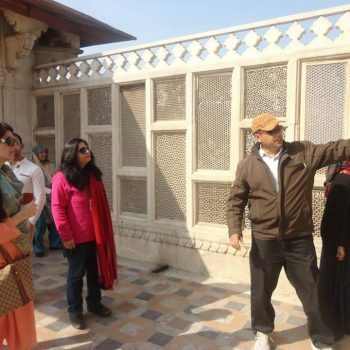 As the saint Shah Shams Tabrez was simple his tomb too and decorated with glassy tiles. The people all around the country gathered at the tomb of Shah Shams Tabraiz every year on 14th to 16th of Rabiussani, on the 1st week on June to celebrate his Urs. 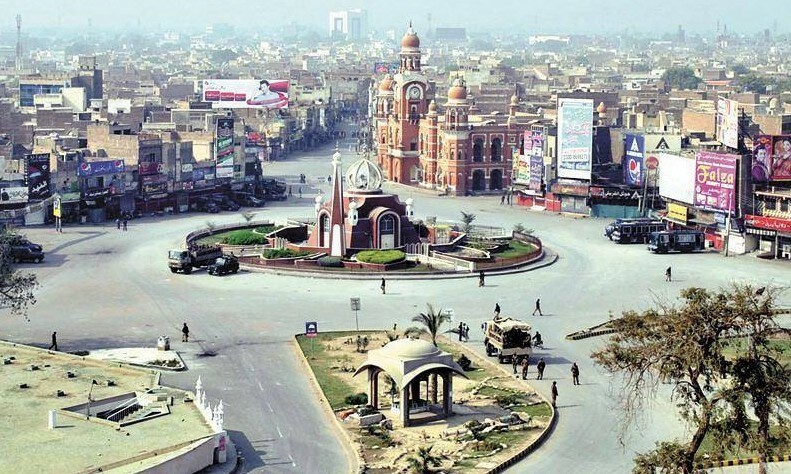 Ghanta Ghar Chowk is a place in Multan, the fifth-largest city in Pakistan, which literally means “Clock Tower.It is the largest intersection in Multan, near the clock tower of the city called Ghanta Ghar (Multan). The largest diameter of this circular intersection is 127 metres , while its minimum diameter is 94.5 metres. It has five lanes. 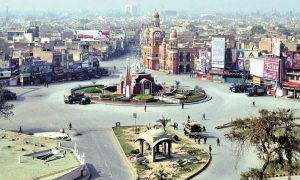 This chowk is regarded as the centre of Multan. It is the location for many city activities.